Friends and Food! – It Works For Bobbi! 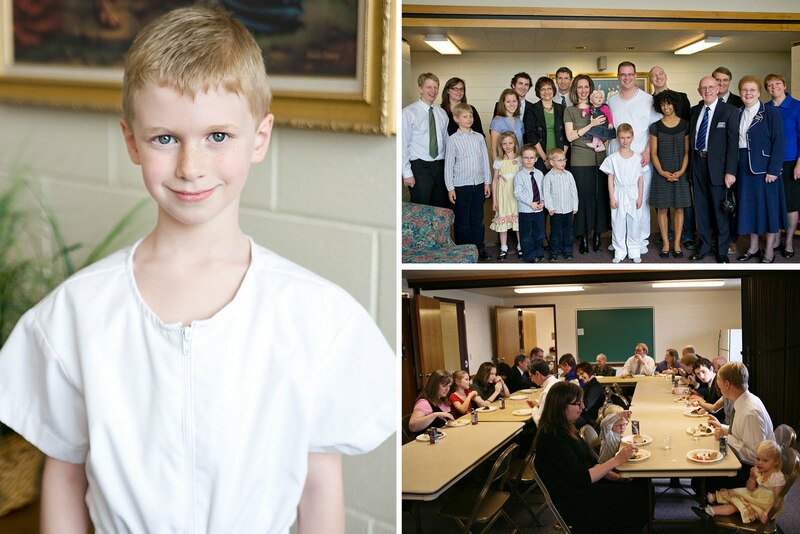 Published on March 29, 2010 August 9, 2016 by Bobbi-Jo G.
We were so lucky to be invited to see little Caleb being baptized. He is such a handsome guy! i hope he’s around when my girls start dating 😉 We were surrounded by MANY of Caleb’s relatives who travelled quite far to be there to support him. What an awesome sight! And what an amazing event to bring families together. We aren’t family, but we sure felt like it. The N family is SO sweet and made us feel like a part of their ‘group’. We are building such a great frienship with Sara and Ben, and their kids are so stinkin’ adorable. Lately I’ve been really appreciating the frienships I’ve gained while living here. Some of them have happened in the blink of an eye. Others have taken time to evolve. All are so valuable to me. I have gone through very hard times in this last year – dealing with health problems, feeling emotionally weak, and at times – so separated from everything. It has been good friends and loving family members who have carried me through. It is just one of many blessings I am SO thankful for. Times are still rough for us – waiting on so many things that are out of our control, but there is still lots of joy to be had. And faith is a wonderful thing…it can lead me to walk into the complete blackness with the hope that there is a HUGE light waiting for me on the other side. So thankful for that. I am also thankful for food. Maybe a little TOO much 😉 I had some of you ask me what the recipe is for the “Puppy Chow” that we had at my New Moon party. Well, folks, hold on to your waists because this recipe is so easy, and completely addicting. I’m drooling all over my keyboard as I type this. Put icing sugar in large paper bag, set aside. Put cereal in large bowl, set aside. In med bowl, melt choc.chips, marg.,and peanut butter in microwave(2min). Pour over cereal & mix gently coating all the cereal. Dump cereal mixture into paper bag of icing sugar and toss to lightly coat. I hope you go out and make some…like now! Then tell me how you like it! Soooo good. A great big THANK YOU to all of you. THANK YOU for your support. THANK YOU for your encouragement. THANK YOU for your humor. And THANK YOU for reading this blog. It is a form of therapy for me, a way to share and feel like I’m making a difference for someone, somewhere. I’m not a witty person. I’m kind of a jack of all trades, master of none. But you keep coming back! You don’t realize what a difference that makes for me. Next Tutorial – Installing Actions in Elements and FREE action! I LOVE that snack. Never heard of it being called Puppy chow before. LOL! We call it Muddy Buddies. 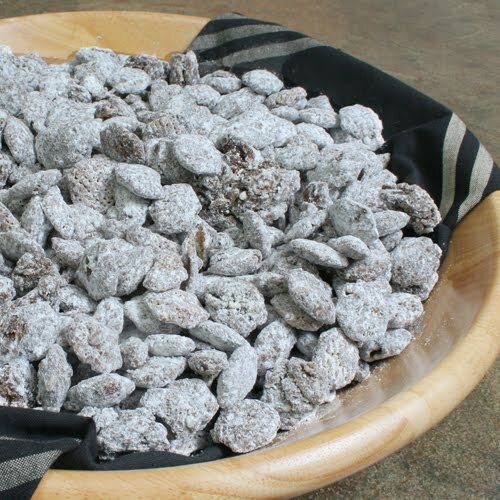 However, I think Puppy Chow quite cute.